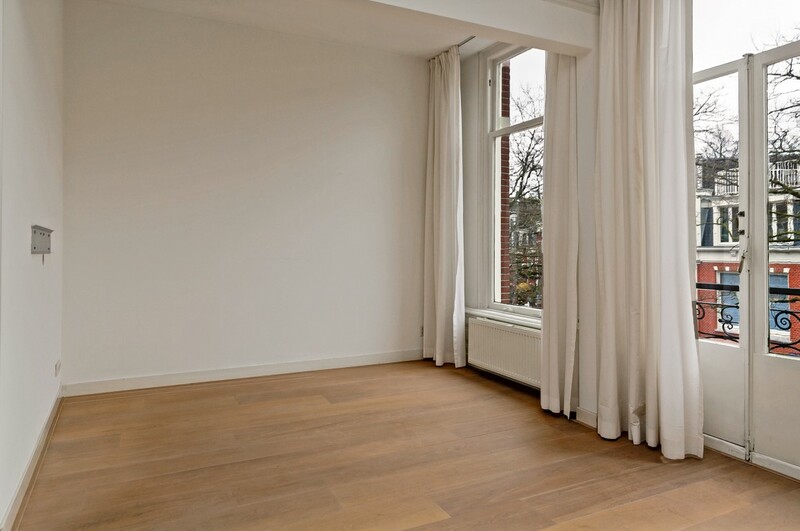 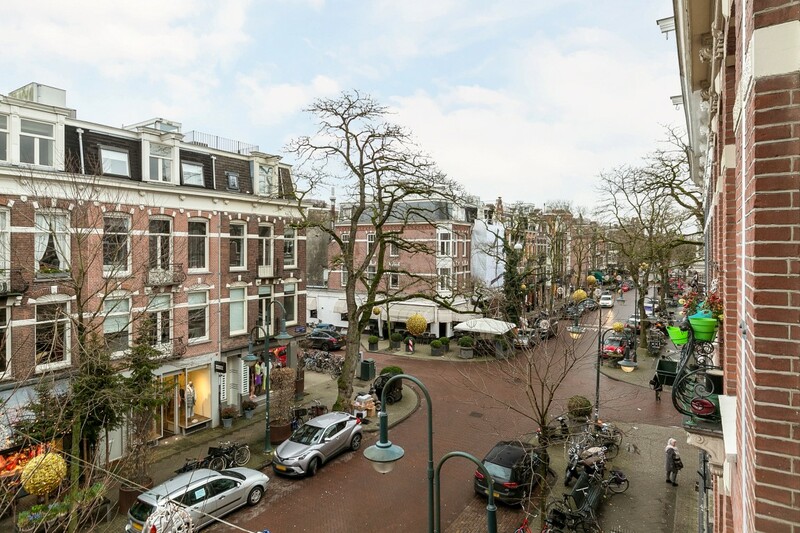 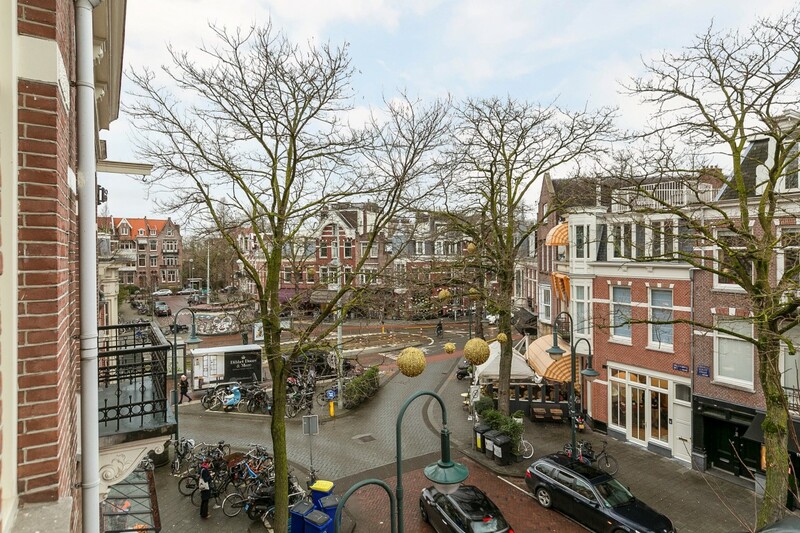 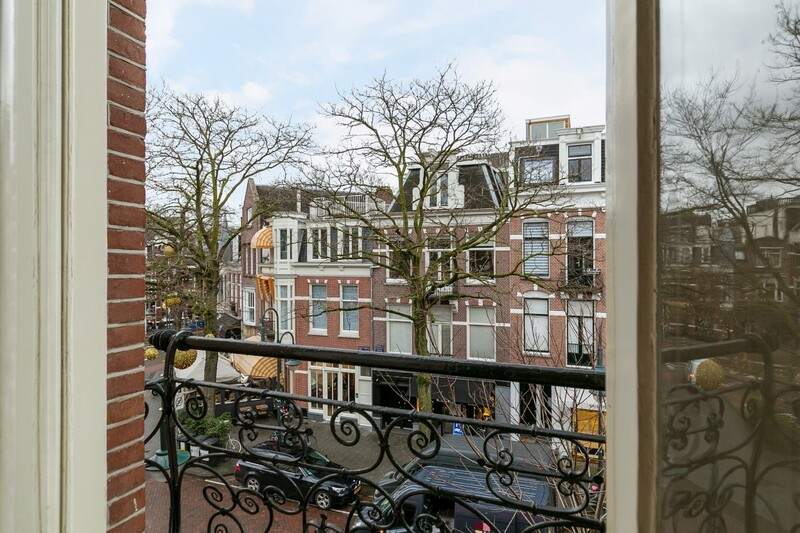 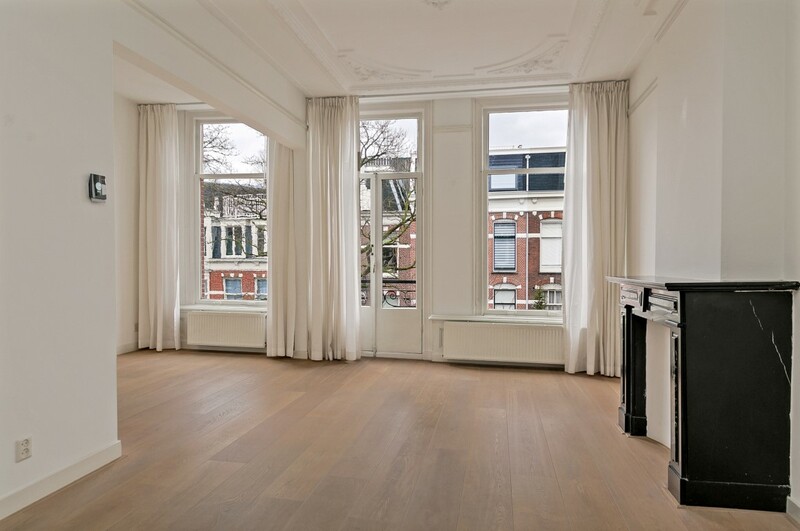 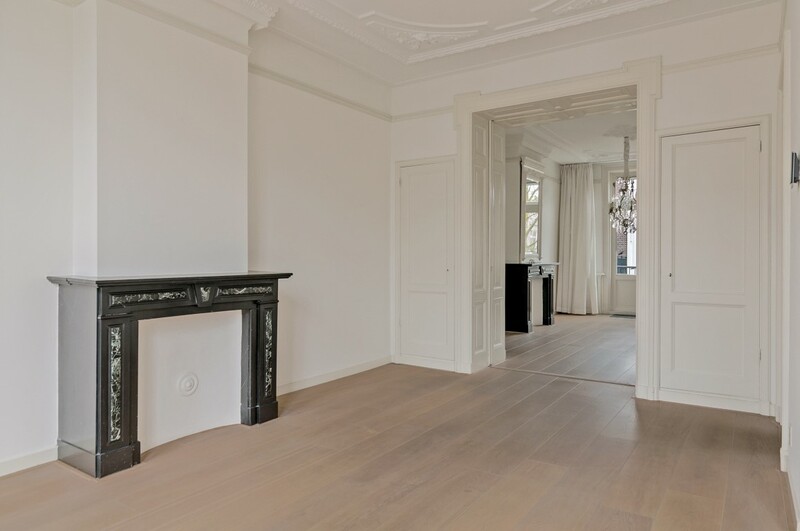 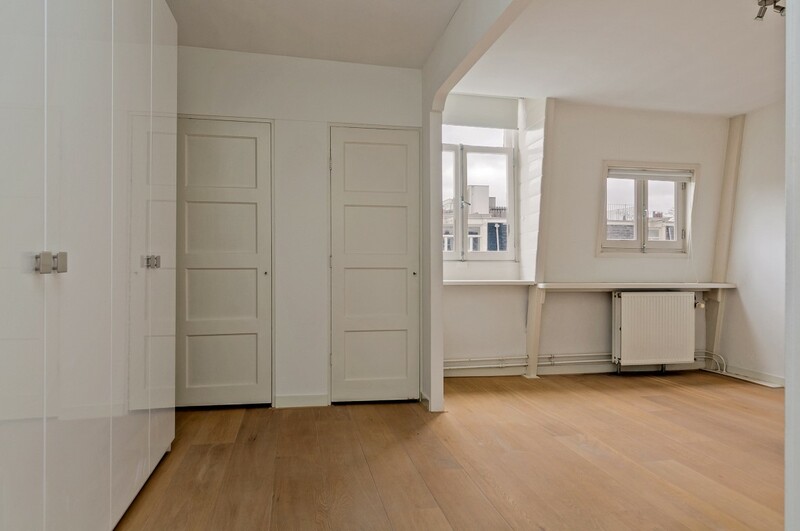 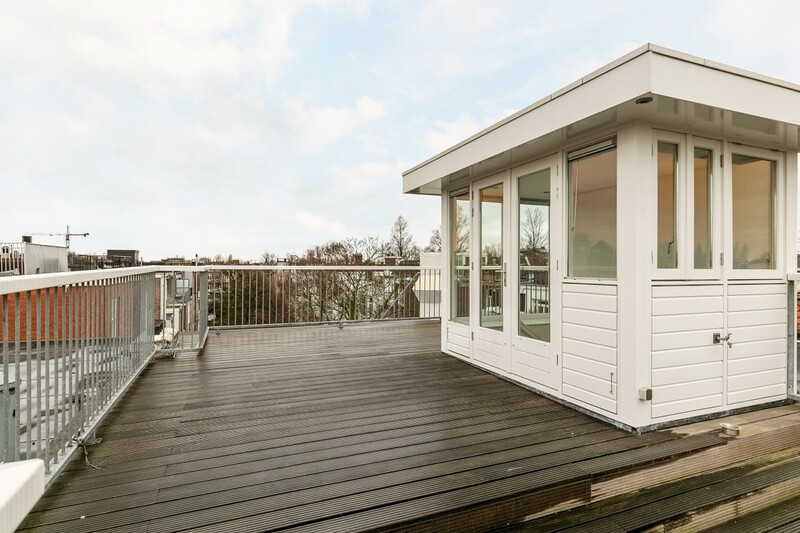 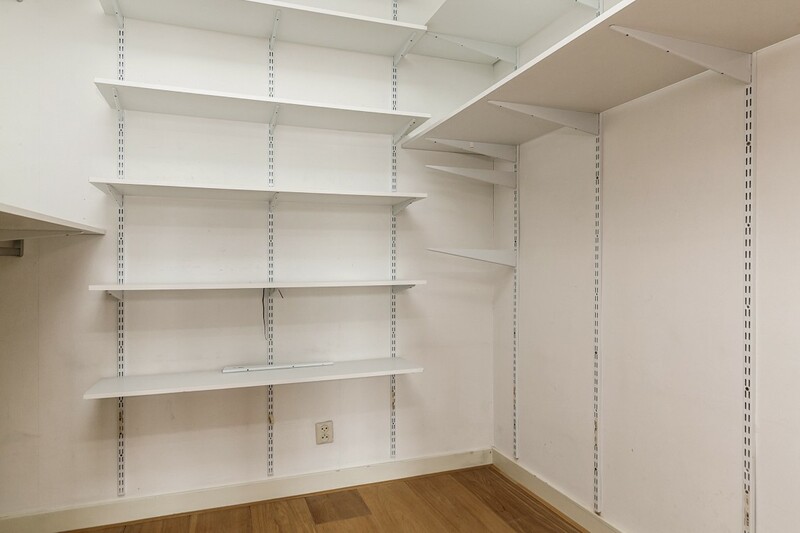 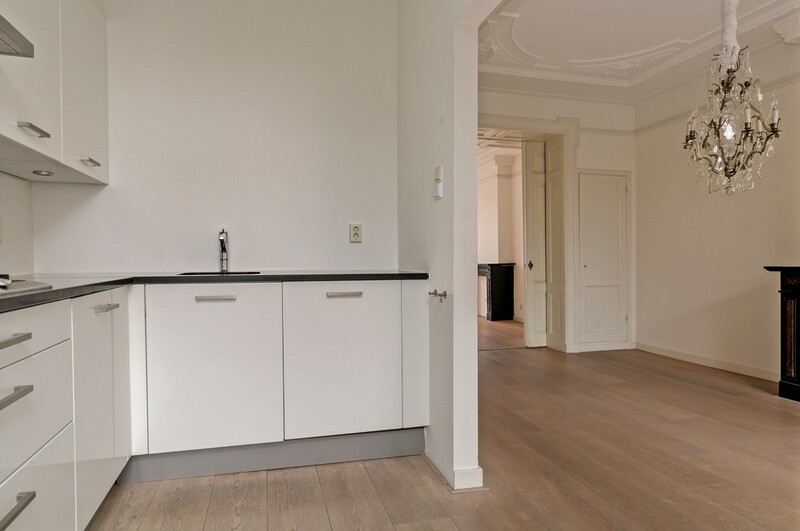 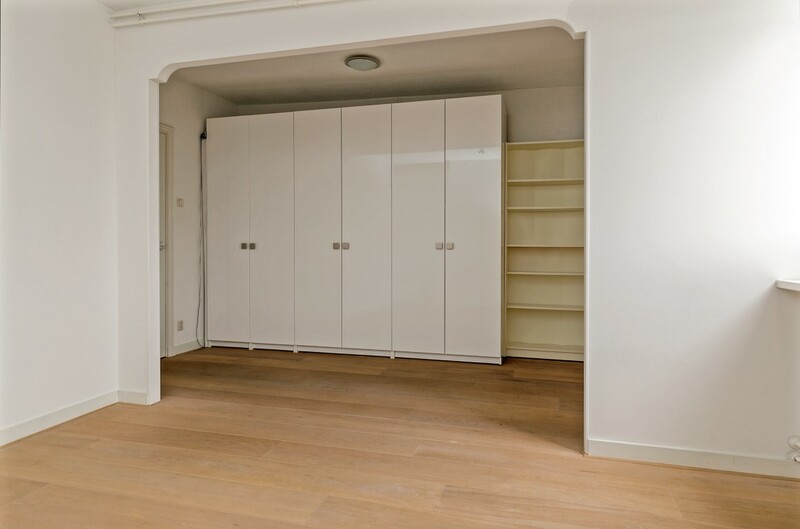 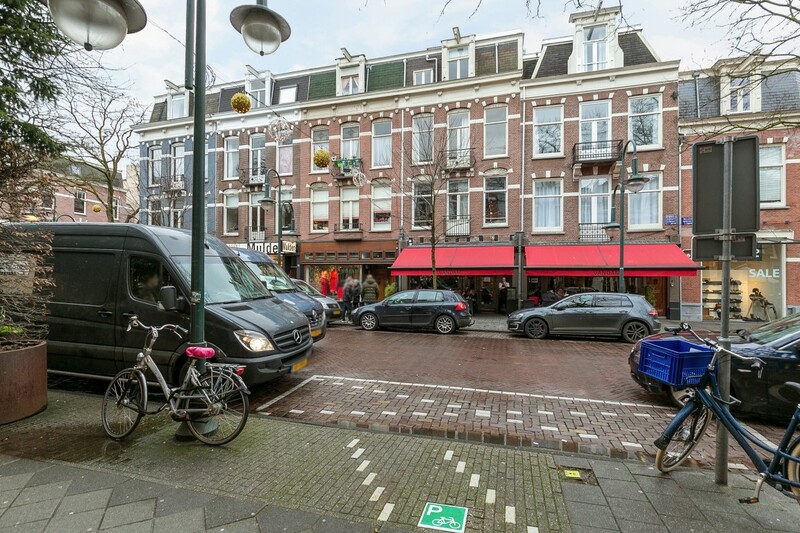 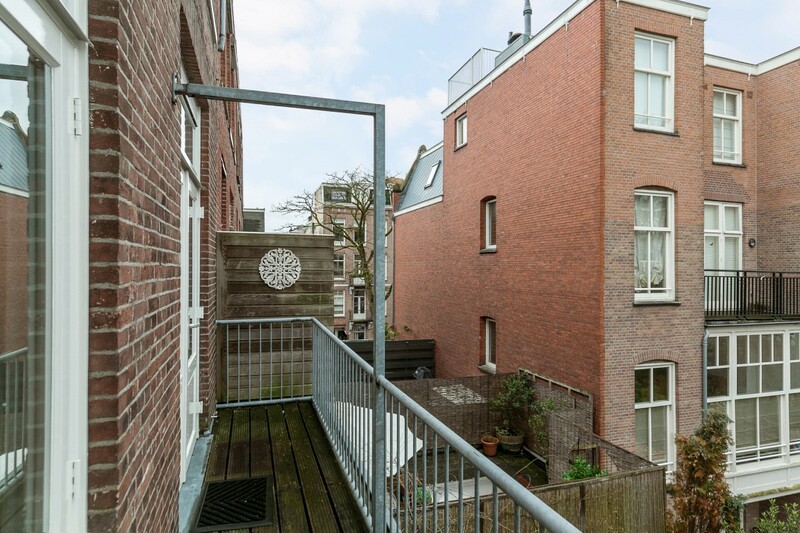 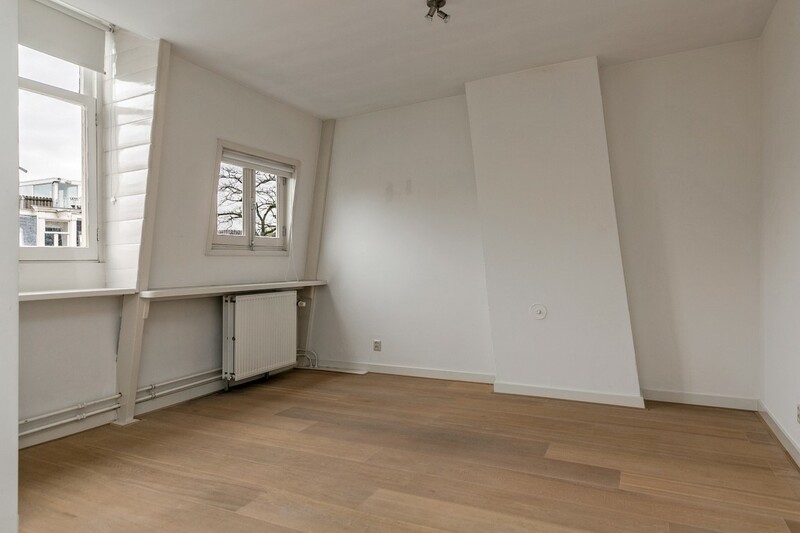 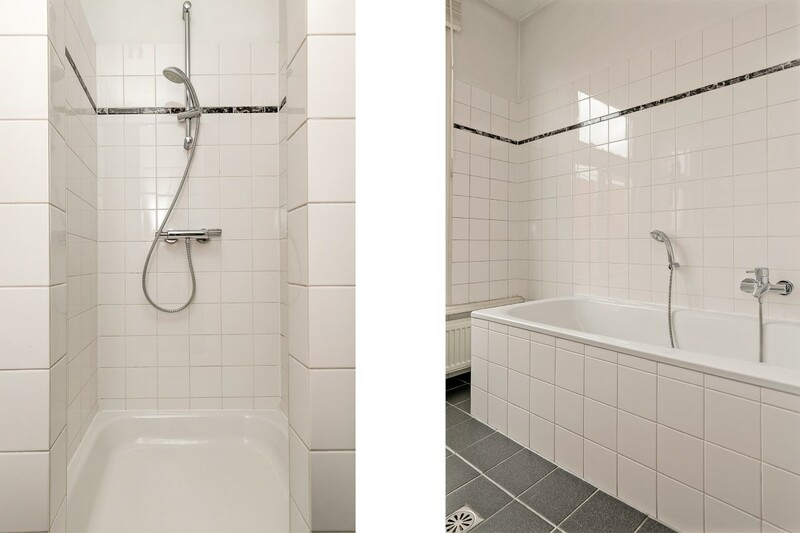 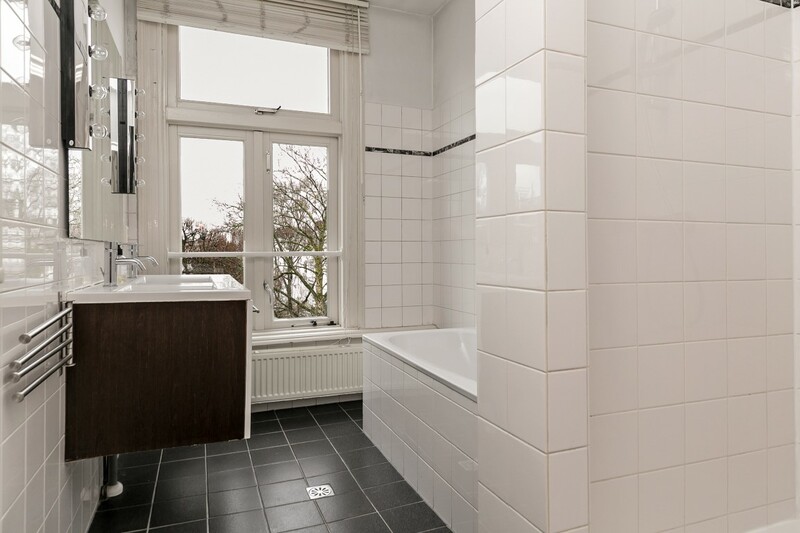 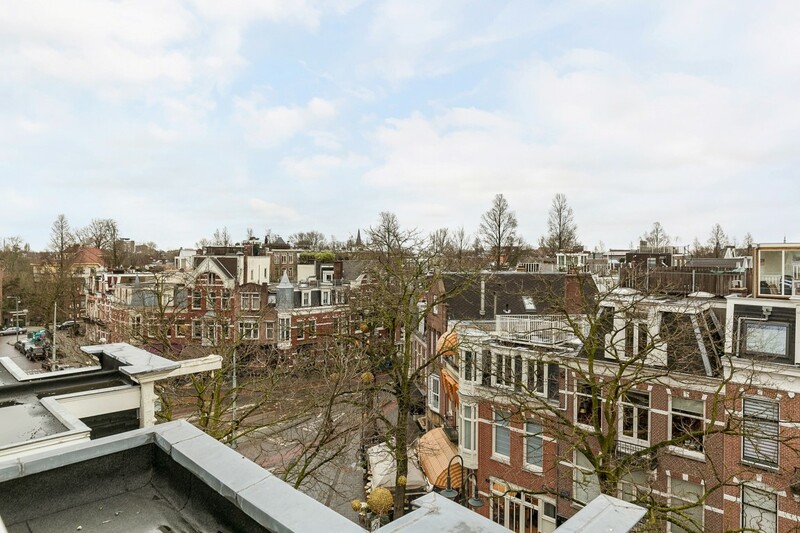 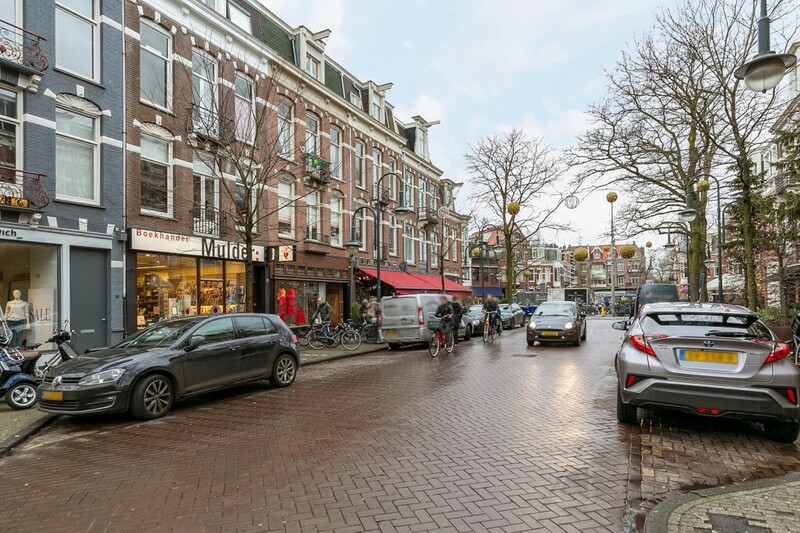 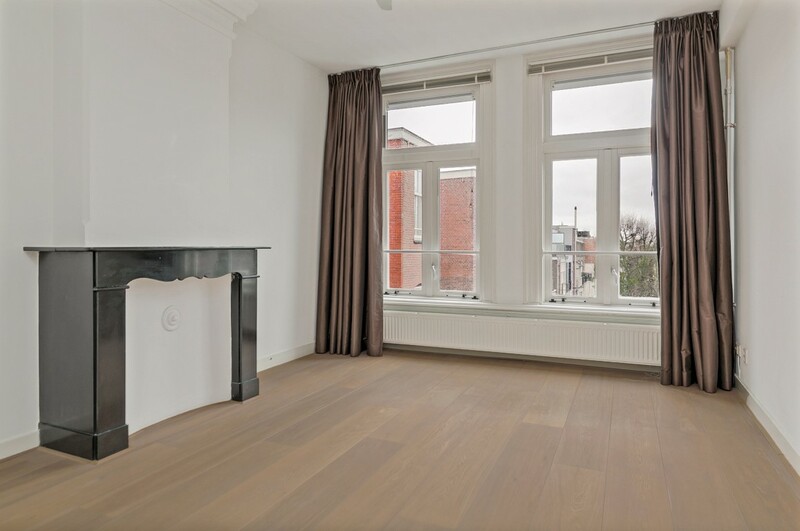 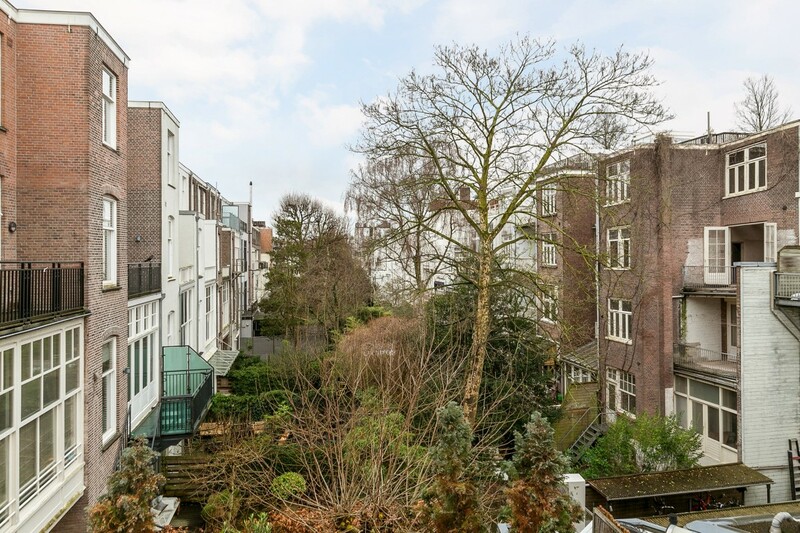 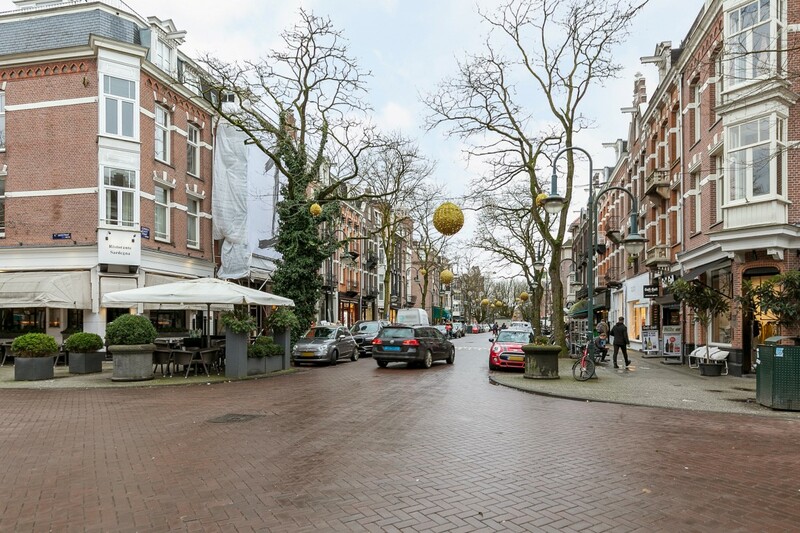 Very charming and completely renovated two bedroom apartment with roof terrace available with several authentic details on the famous shopping street of the Old South area, on walking distance to the Vondelpark!! 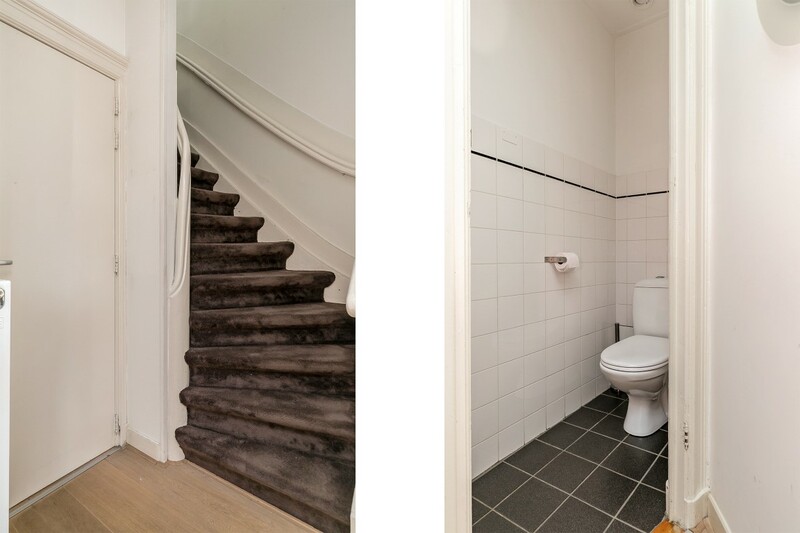 Entrance, landing with separate toilet, access to the living area. 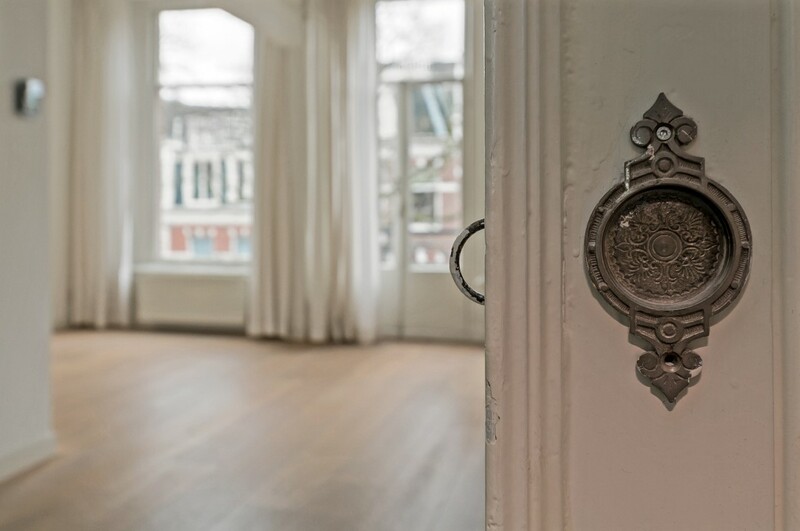 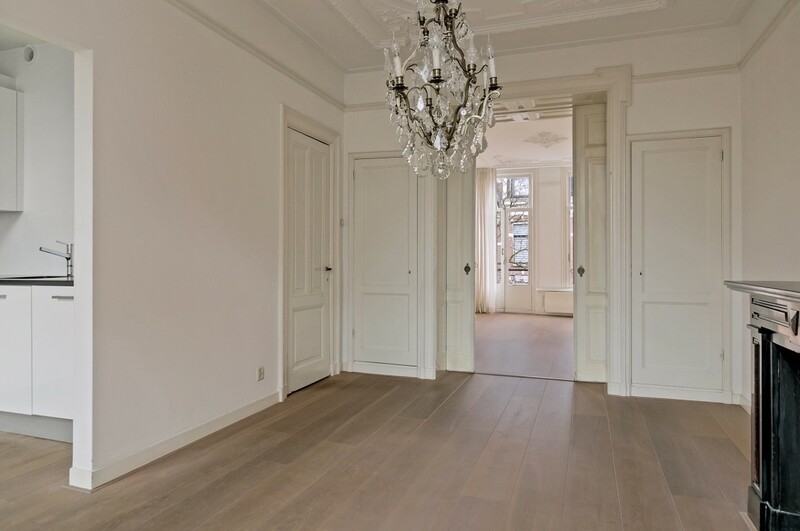 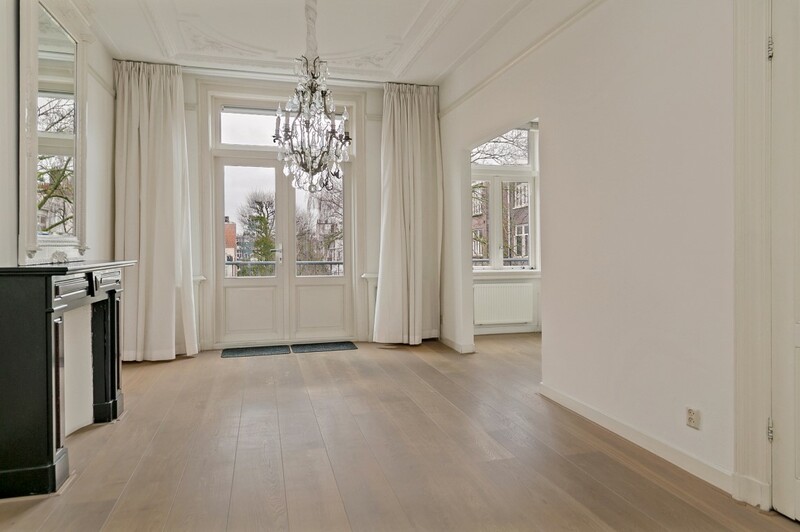 L-shaped en-suite living and dining room with wooden floors and beautiful high ceilings with original details. 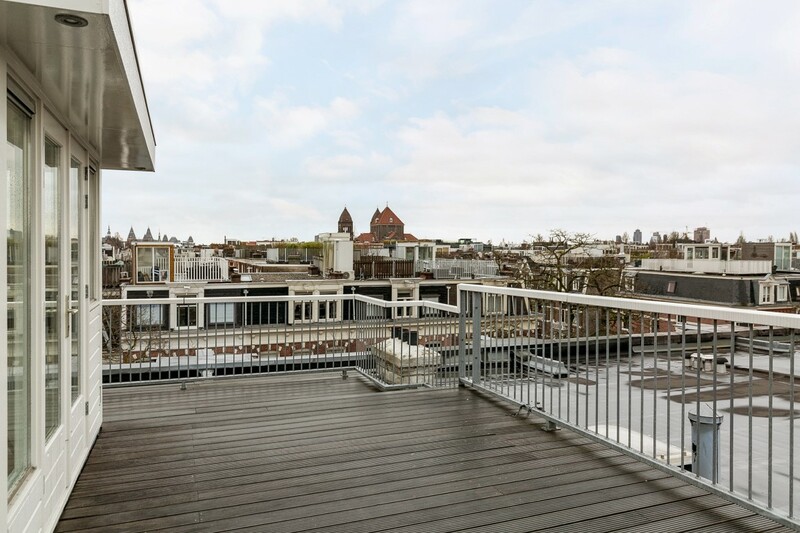 Large balcony at the back of the apartment, facing South. 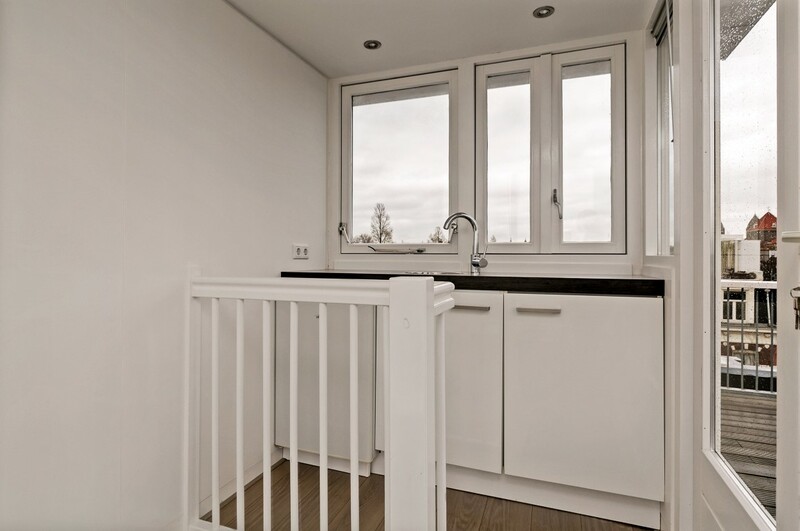 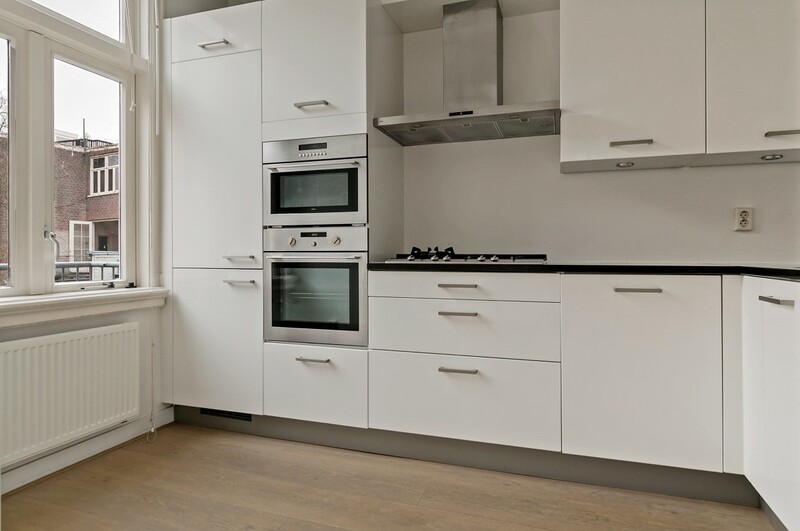 Half open kitchen with all appliances; fridge/freezer, dishwasher, oven, microwave and 5 hob gas cooker. 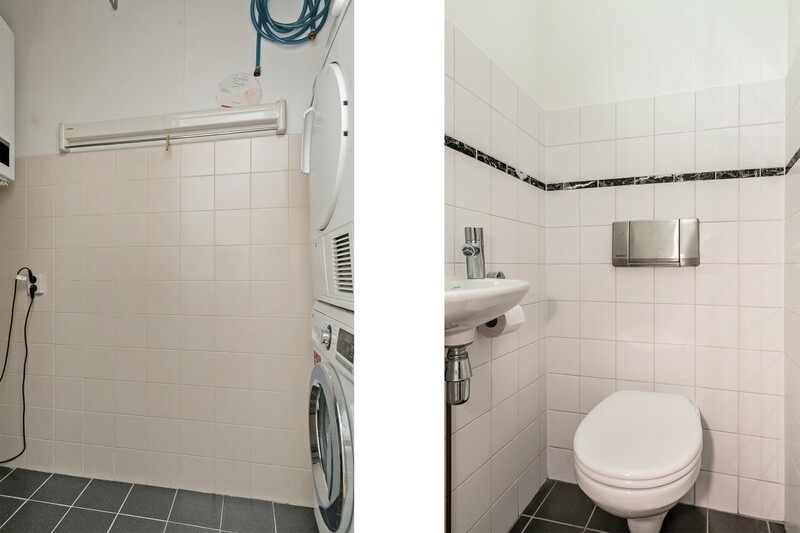 Spacious landing, separate toilet, laundry room, 2 good sized bedrooms both with lots of wardrobe space, large bathroom with bathtub, separate shower and double sinks. 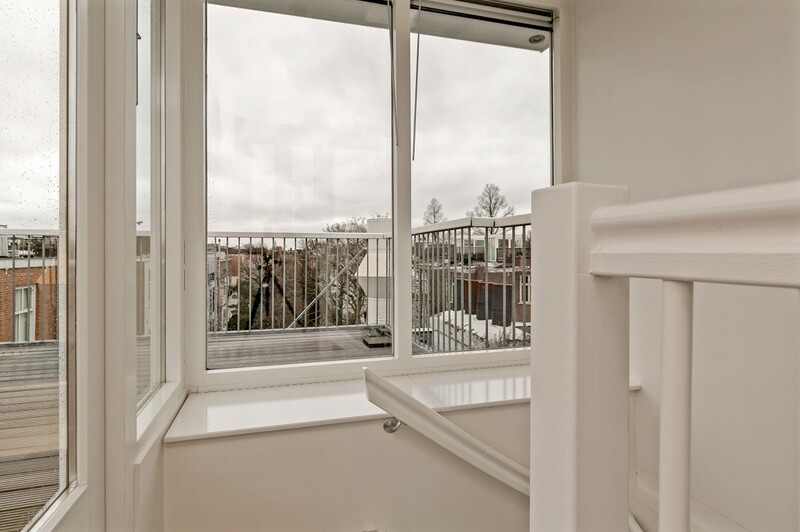 Staircase to the roof terrace with an amazing view over the city skyline!